Google owes its success to putting advertising into parts of our lives where no one has ever put adverts before. Now a new patent illustrates the extent of its ambitions. 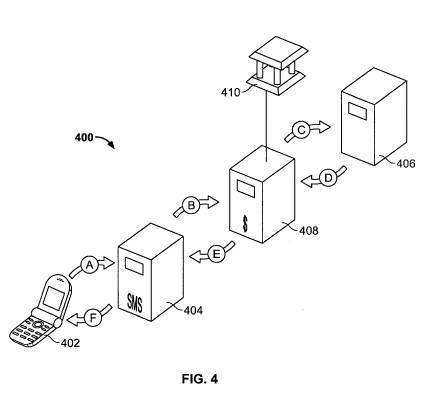 Last week Google applied to patent one of the cornerstones of mobile commerce - billing by SMS. Details of the invention, entitled "Text message payment", are scant in the application that was published on Thursday. But US 2007/0203836 does, however, illustrate the extent of Google's ambitions. It envisages payments for conventional retail shopping (for example at Starbucks or McDonald's), as well as browser-based surfing, and SMS services such as ringtones. A computer-implemented method of effectuating a payment, comprising: receiving at a computer server system a text message from a payor containing a payment request comprising a payment amount sent by a payor device operating independently of the computer server system; debiting a payor account for an amount corresponding to the amount of the payment request; and crediting a payee account that is independent of the computer server system. 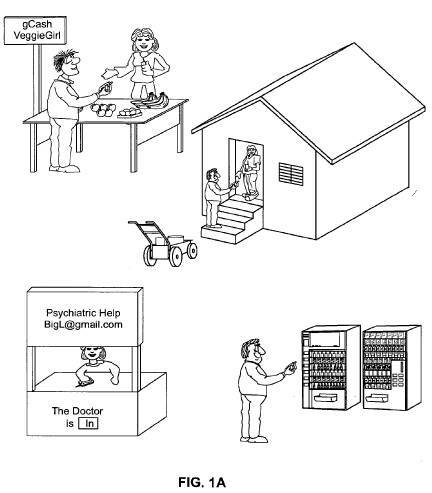 Although we must note that here, the vegetable seller is also the psychiatrist. So by sharing information, the psychiatrist can remind the mobile punter to eat their vegetables. Presumably, all this information is then relayed to Google's new health initiative. Google has been briefing potential partners about its mobile phone software platform, as we revealed earlier this year. In June it snapped up Grand Central, a universal mobile messaging start-up. Windows Mixed Reality: Windows Mobile deja vu?